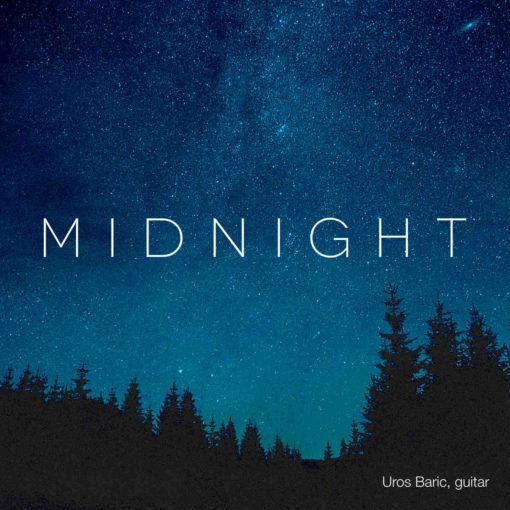 Midnight is the third solo album from acclaimed guitarist Uros Baric, featuring evocative performances of some of the best loved film music alongside classical favourites, re-imaginings of traditional pieces, popular songs and contemporary works. 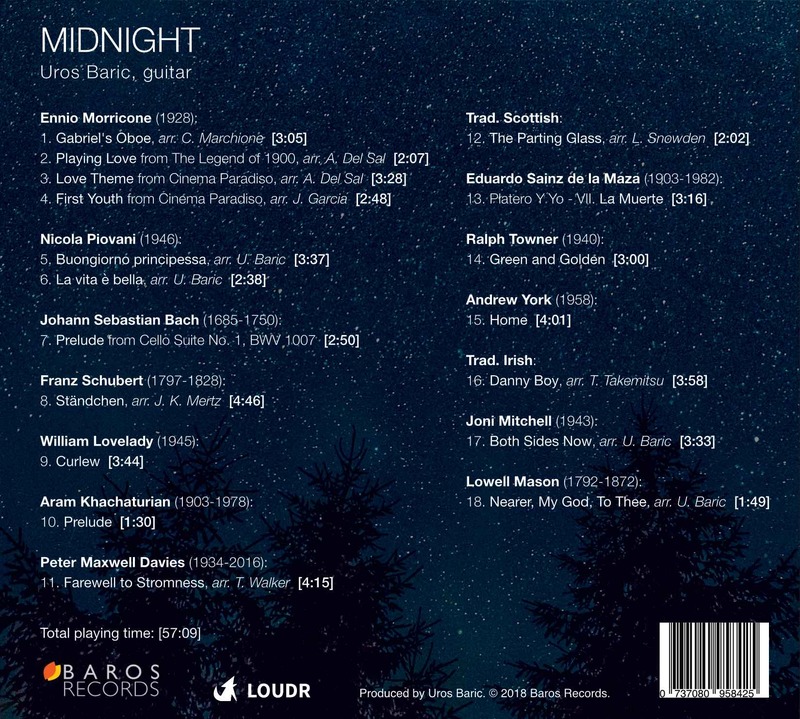 Midnight is a collection of Uros’ favourite music in calm mood perfect to listen to at night and is dedicated to his wife and daughter. Update: CDs are back in stock! 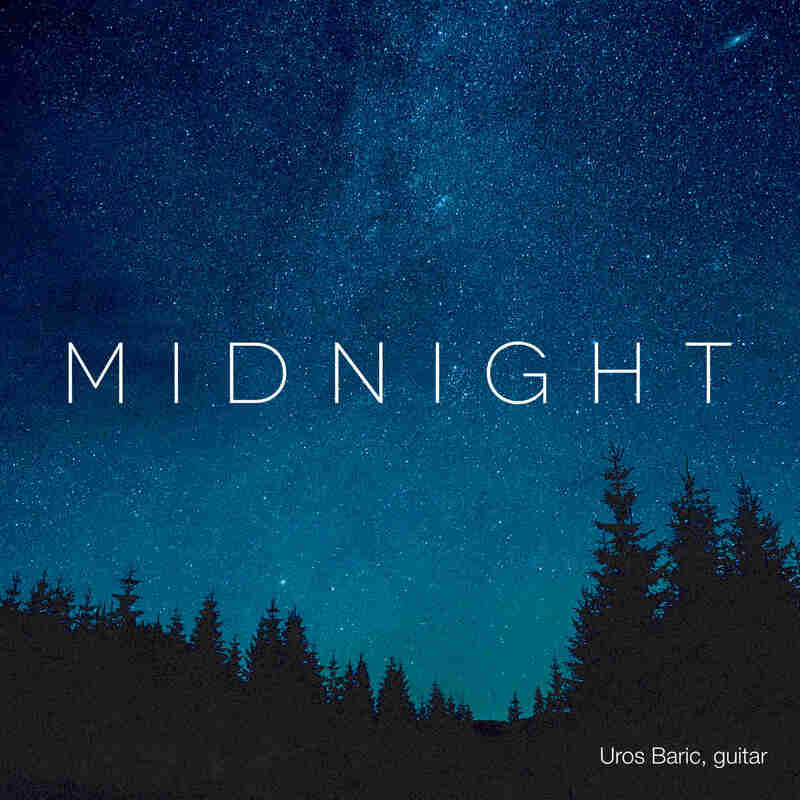 Midnight by Uros Baric is filled with beautiful performances, sensitive phrasing, as well as elegant and colourful arrangements. His use of guitar orchestration perfectly suits the collection of works creating a warmth for the album that we wish would never end. 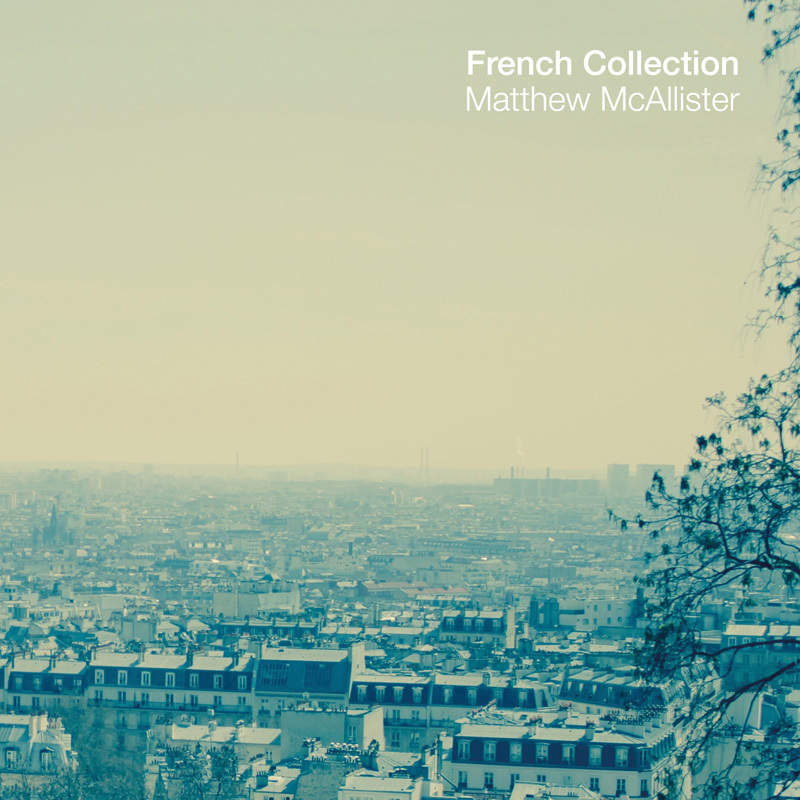 Ample cross-string legato, flowing melodic phrasing, and a very sensitive touch make this album truly virtuosic in its musicality. Highly recommend. Beautifully played as always with Uros Baric!! I am presently working on ‘Home’ by Andre Young, but not even half the quality of your music. 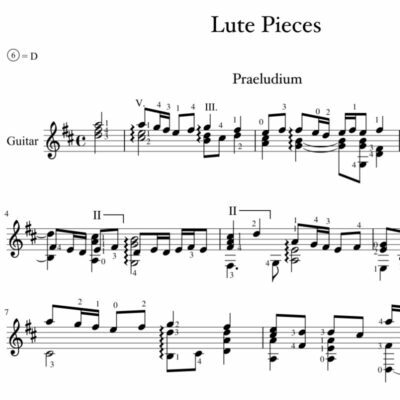 I’m a huge fan of Uros Baric, and this latest edition to his catalog of work is simply splendid. His selection of material for Midnight is wonderful and soothing, as is his mastery of the instrument. 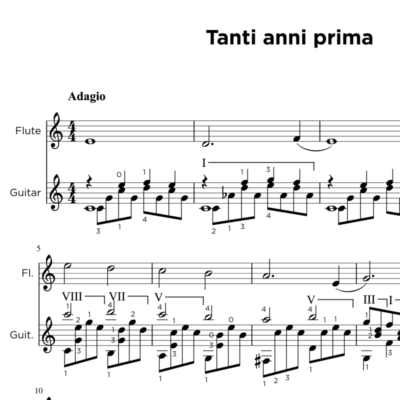 As is usual with his recordings, the quality of his recordings is superb. Bravo! 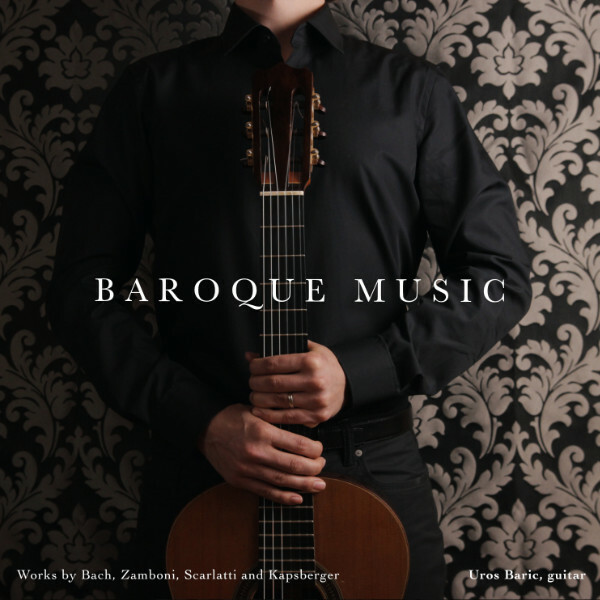 Uros Baric is a superb classical guitarist. His most recent album, Midnight, is truly sublime. Bravo!